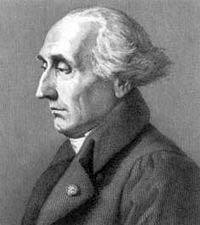 Joseph-Louis Lagrange was born on January 25, 1736, in the city of Turin, located in Italy. He was a well-known mathematician as well as an astronomer. Although he was born in Italy, he spent a good part of his life in the country of Prussia and in France. Lagrange made many contributions to many different fields, including number theory and celestial mechanics as well as analysis and classical mechanics. In 1766, Lagrange became the director of mathematics at the Prussian Academy of Sciences, located in Berlin. He stayed there for more than 20 years. During his time there, LaGrange created a large body of works and he won many prizes from the French Academy of Sciences. He published a treatise based on analytical mechanics in 1788 entitled Mecanique Analytique, which was considered to be the most comprehensive work of the era on that topic. Also, a week before LaGrange died in 1813, he was awarded the Grand Croix, which was a prestigious award. He also went onto be awarded with other prestigious awards, including the French Academy of Sciences award, which was given to him in 1764 for a memoir that he wrote on the libation of the moon. LaGrange accomplished many things throughout his career, with one of them being elected as a Fellow of the Royal Society of Edinburgh, which was in 1790. In 1806, he was also elected as a Foreign Member of the Royal Swedish Academy of Sciences. When the Eiffel Tower first opened, LaGrange was one of the few French scientists who were remembered on plaques during first stage of the tower. He was honored by having the Rue Lagrange named after him, which is located in Paris’ 5th Arrondissement. In addition to that, a lunar crater is named after him as well as the street where the house in which he was born is located. In addition to his awards and contributions to the field of astronomy, LaGrange was also known for his personality and his overall demeanor. People would talk about his nervousness and his timidity. He also let people take credit for some of the things he did simply to avoid any potential controversy.